Compared to the long-term average May is considered to be significantly colder as to the temperature and markedly above the average as to the precipitation. Rainfalls in Saaz area in May represent more than on third of the whole year amount. The most rainfalls came during the storms in the second half of May. It means the rainfall totals may be very different in particular places of Saaz area. The hop training in all localities was finished and the hilling in some hop gardens was done later May. 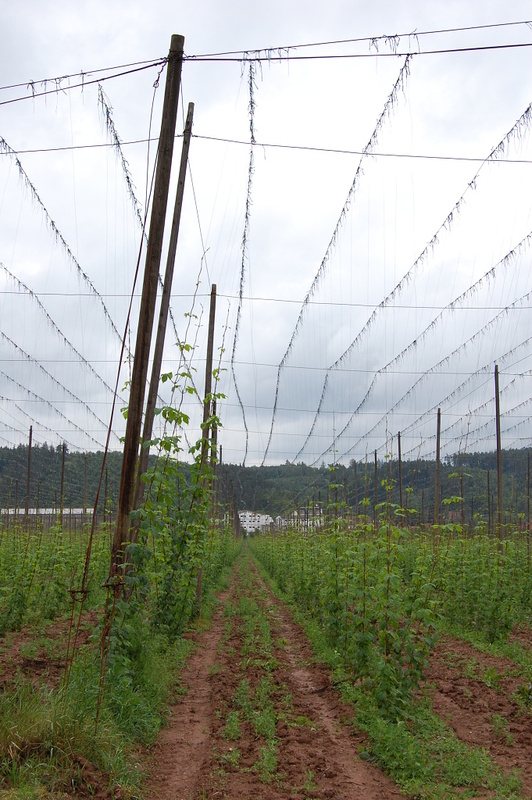 The average height of the hop plants reached approx. 2 m at the end of May. Chemical treatment against Peronospora was applied at majority of hop areas. The health state of hop plants is good. Photo taken on May 30th shows the up-to-date typical stand of hop gardens.